Our mentors are friendly, experienced Scheme developers who will help teach you new techniques and tricks. Scheme is a tail-recursive and statically scoped dialect of the Lisp programming language. It was built to have uncomplicated semantics and several different ways to form expressions. Multiple programming paradigms, including functional, message, and imperative, find easy expression in Scheme. Scheme was invented by Guy Lewis Steele Jr. and Gerald Jay Sussman. To learn more about Scheme, take a look at MIT's Scheme page. Once you join the Scheme language track, you will receive support and feedback from our team of mentors. Here are the bios of a few of the mentors of this track. 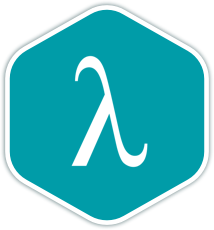 I started in the Lisp family with Common Lisp but I love the elegant simplicity of Scheme and how it enables Functional Programming. These are a few of the 17 exercises on the Scheme track. You can see all the exercises here. Get started with the Scheme track. As with everything on Exercism, it's 100% free!